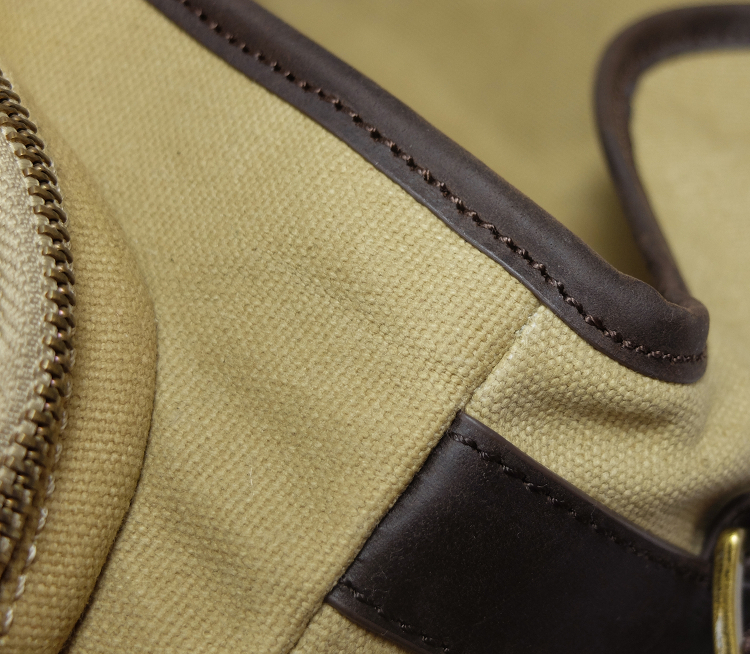 The 50/50 Angus combines leather and premium water-resistant waxed canvas. 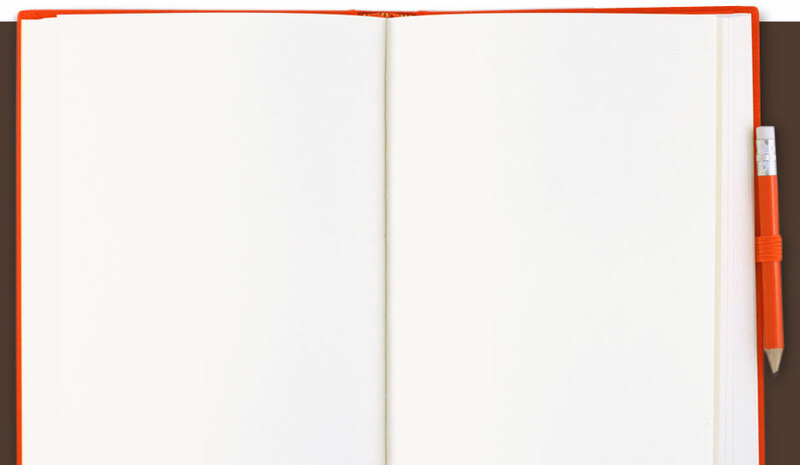 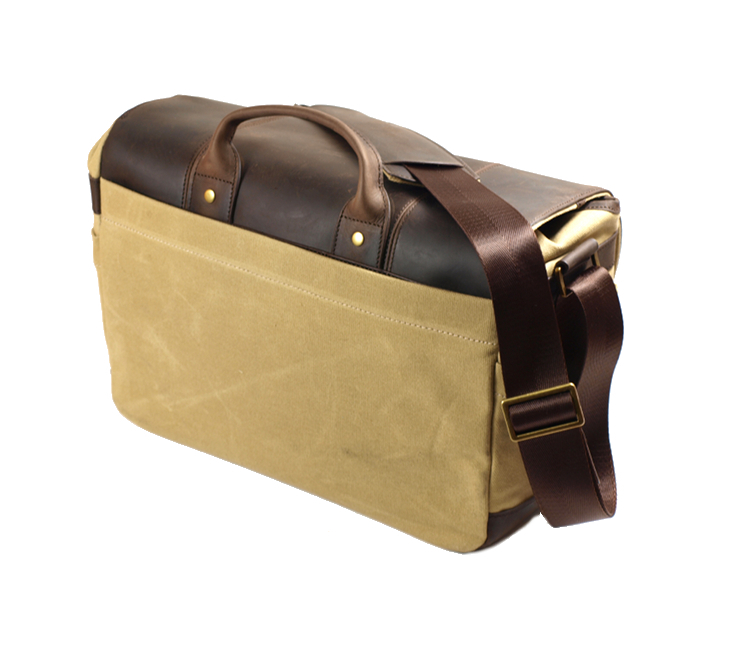 The leather is also waxed for protection and develops its individual patina over time. 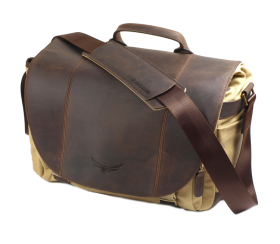 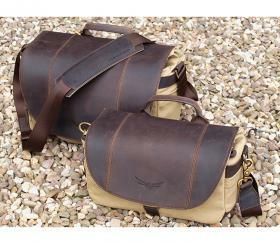 The Angus can carry a DSLR, 3-4 lenses + an iPad and your personal items. 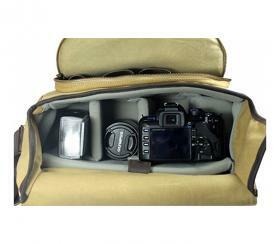 Its two front pockets are perfect for lens caps, batteries and other accessoires. 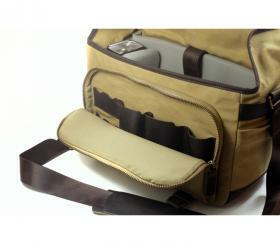 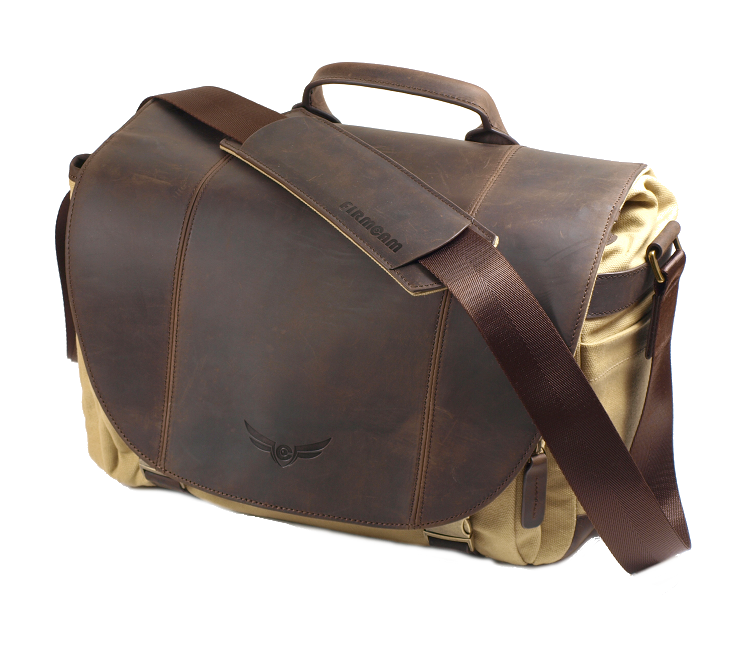 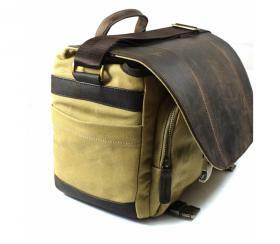 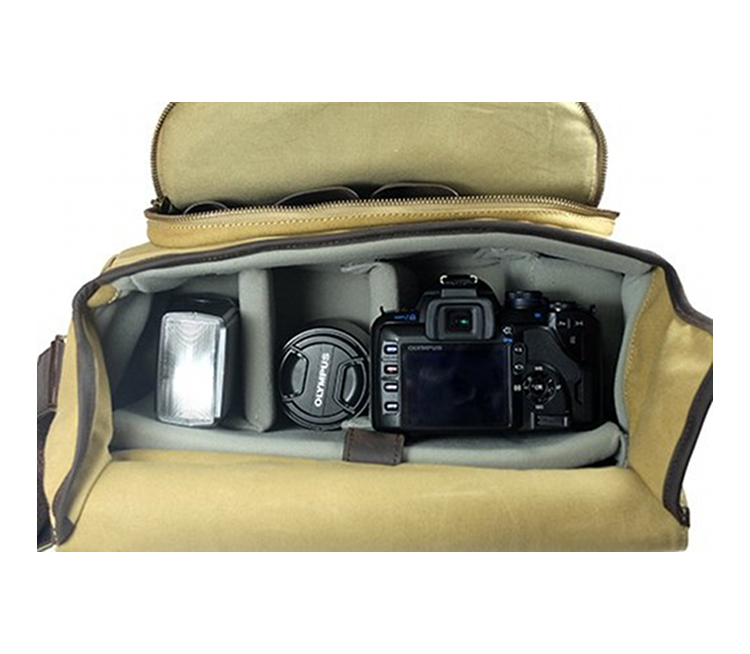 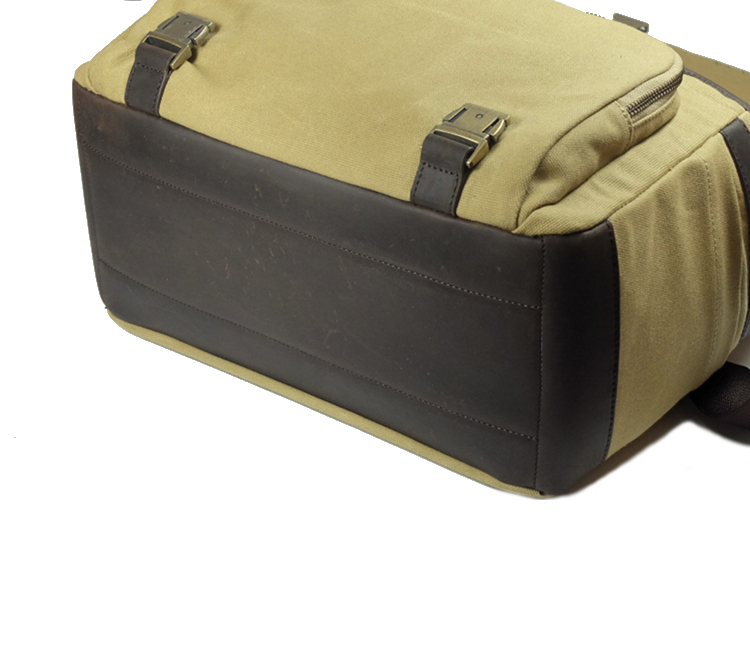 The inside of the Angus camera bag is protected with a thick, soft padding to keep your camera gear safe.